Newark, NJ is home to Newark Liberty International Airport and is the largest city in the state of New Jersey. 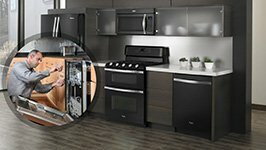 Appliance Repair Newark is proud to serve this community with the most effective appliances repair service in the region. 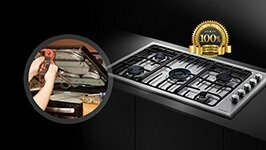 Our company has been providing outstanding appliance repair in Newark, NJ for a long time. We have become a highly sought after home appliance repair service because we always do the job quickly and correctly. 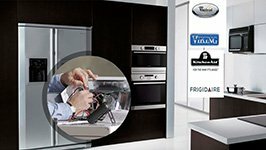 At Newark Appliance Repair we are the kitchen appliance repairs expert in the area. We service all makes and models of refrigerators, stoves, freezers, dishwashers, and microwaves. Our highly trained professional technicians also offer dependable small appliance repair at a price you can afford. We carry all the needed kitchen appliance replacement parts on our truck to make sure we can provide you with the fastest and most efficient service. Every appliance service technician on our staff is factory trained and certified to provide a wide range of appliance service options. Our team shares a commitment to our craft and good old fashioned customer service you can trust. 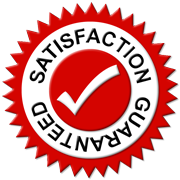 We guarantee complete customer satisfaction on all the services we offer. In most cases we can provide same day repair service. Our goal is to be there when you need us. Our scheduling policy is flexible and geared for your convenience. Appliance Repair Newark is well known for providing professional results quickly and effectively. We are proud of this reputation, but we are just as happy that we are respected for our integral approach to business. Our technicians are friendly and helpful at all times and we always treat you right. We treat you with honesty and dignity. You will not discover any hidden fees in your invoice and we never take shortcuts in appliances repair service. We also fix laundry appliances in Newark, NJ. 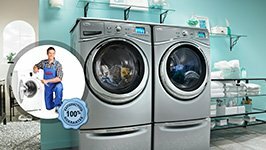 Our experts provide outstanding washer repair and dryer repair service for less. Give us a call today and we will take great care of your appliances.